The annual World Copper Conference brought together over 400 delegates to Santiago Chile to discuss the outlook of copper. 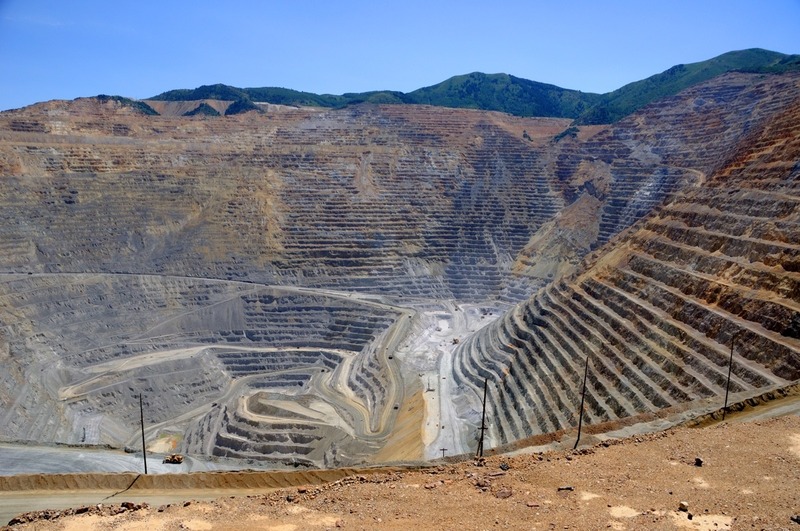 This article summarizes five risks to mining in Latin America, which were outlined by Control Risk Consulting and discussed by miners and analysts. According to Andres Saenz from Control Risk Consulting, the US-China trade war will not only complicate life for businesses but will also create political tensions as the US and China jostle for government support. Saenz expects Chinese investment and support of countries open to China (such as Venezuela and Nicaragua), to continue, while the United States will intensify their efforts to weaken them. Ian Linnell, President of Fitch Ratings, highlighted the US-China trade war as a key risk to commodity prices as it has damaged business and consumer confidence globally. According to Jumana Saleheen, chief economist at the CRU group, the outlook remains stable but there are plenty of opportunities for the trade war to escalate, thereby reducing economic growth and in turn copper consumption. In the event of an escalating US-China trade war, she predicts a reduction in global GDP by as much as 1%. This would lead to a yearly reduction in copper consumption of 0.5%, to 1.5%. While some countries in South America remain stagnant in anti-corruption efforts, Peru, Mexico, Ecuador, and Brazil are expected to intensify their fight against corruption. Saenz states that there is a risk to companies who have not done their due diligence in carrying out transparency initiatives. In such situations, companies may be complicit if found dealing with persons or businesses with links to corrupt activities. Companies will also need to implement an effective response protocol to mitigate risk when dealing with potential internal cases of corruption. Last December, Brazilian authorities launched investigations into three of the world’s largest commodity traders, including Glencore. Glencore has since been accused of bribing employees of the state-owned oil company, Petrobas, with USD$5.1 million to secure deals. Investigations are still ongoing. One of the main sponsors of the World Copper Conference, SNC Lavalin, is currently under investigation in Canada for facilitating corrupt practices in numerous countries, including Libya and Angola. Concerns over government transparency and fiscal constraints can undermine the operating environment for investors. In Latin America, five countries (Argentina, Columbia, Peru, Honduras, and Guatemala) have moved towards increased transparency by joining the Extractive Industries Transparency Initiative (EITI). Under EITI standards, companies and government offices must disclose information such as revenue across the extractive supply chain to promote accountability in natural resource governance. Saenz expects that other Latin American countries will also tighten or introduce new regulations in the coming year to foster more accountability. One example is Brazil, where companies operating in the mining sector are now more likely to be exposed to greater oversight and investigations in response to the Vale tailings dam disaster in January. This is especially pertinent to companies involved with tailings dams and their associated monitoring. Last month, a Brazilian court issued an injunction ceasing operations at 13 tailings dams owned by Vale. According to a recent Wall Street Journalreport, Brazilian prosecutors are planning to file criminal charges against Vale and its employees over the dam disaster. Saenz has seen social and environmental activism grow across Latin America due to unmet expectations, and the general public’s perception that mining investment is exploiting land, people, and the environment. The associated failure of mining companies to obtain a social license to operate has led to the abandonment or halting of mining operations. Last week Minerals and Metals Group (MMG) and Andean community leaders in Peru came to an agreement to end the two-month blockade of MMG’s Las Bambas mine. The community had blocked road access to the mine to pressure the government and MMG for greater compensation for the use of community populated land. In 2016, protesters temporarily entered Anglo American’s Los Bronces copper mine in Chile and set up barricades, disrupting mining activity. Today the company is preparing an environmental impact assessment for a USD$3 billion expansion project at Los Bronces. However, due to the mine’s proximity to Santiago and Andean glaciers, the expansion program may meet significant community opposition. Saenz stressed the importance for mining companies to manage community expectations, using adequate stakeholder mapping from the start, to prevent problems that may occur at more advanced stages. Illegal mining and criminal activity can pose a threat to exploration and production, such as in the Antioquia region of Columbia. In September 2018, a breakaway fraction of FARC (Fuerzas Armadas Revolucionarias de Colombia) attacked a mining camp owned by Continental Gold, a Canadian company. Three geologists were killed in the attack and three were injured. There is significant illegal gold mining activity in the Antioquia region, where revenue is potentially funding gangs and guerilla groups. Saenz concludes that companies wanting to operate in Latin American need to do their due diligence. Boards of directors will have to learn to shift focus from looking purely at balance sheets and place more emphasis on risk and stakeholder management. Having the appropriate environmental license and conducting community engagement activities will no longer be sufficient; as risks now include wider environmental issues, corruption, and increased public scrutiny. Previous articleUranium: An idea whose time has come again?